On July 11, BSR brought together a group of luxury brands at Paris’ “Salon du Luxe” conference to talk about the new rules of the game when it comes to desirability, sustainability, and luxury. In the past several years, the growth of the luxury industry has slowed, and aspirational brands such as Michael Kors and the Hoxton Hotels have disrupted the sector with different interpretations of “luxury” products and services that offer more open and experiential approaches or less expensive products. At the same time, industry demographics are changing: Millenials and Gen Z now account for about 30 percent of luxury shoppers and will represent 45 percent of the market by 2025. Luxury brands need to account for the preferences and shopping habits of these younger generations, who are more eco-conscious but also less loyal and more digital. Some brands are suffering in this changing context. A Nelly Rodi/IFOP study based on a trends analysis and survey of 1,000 global luxury consumers found that consumers no longer find many traditional brands desirable. Instead, brands like Apple are capturing the hearts and minds of luxury clients. So, how can traditional luxury brands adapt and stay relevant? During the Salon du Luxe event, we discussed two emerging and related rules of the game when it comes to changing consumer psychology and behaviors. First, sustainability creates desire; second, to be desirable, brands must be sustainable. These rules—two sides of the same coin—describe desirability for products and services in terms of both demand and supply. Luxury status today is increasingly expressed in the “language of conscious consumerism.” Trendwatchers say luxury consumers are keen to express who they are in terms of being “ethical, creative, connected, and tasteful.” They are less keen to simply possess more goods. Why do these choices symbolize luxury? Consumers are expressing their high education levels and cultural awareness through their purchases and lifestyle, which include everything from yoga to biodynamic wine. Brands are beginning to recognize this shift in mindset, which affects not only their clients, but also their employees. During our panel discussion at Salon du Luxe, brands reported that customers are starting to ask more questions about the origin of ingredients and raw materials, animal welfare, and social and environmental impacts of products more broadly. Sandrine Noel, environment manager at Louis Vuitton, said that they can even “observe new demands from their 'VICs'—Very Important Customers,” like actress Emma Watson, who recently requested a selection of conscious garments. Over the past several years, many luxury brands have adopted stronger environmental and social practices, prompted by a strong business case and stakeholder demands. Luxury brands are investing in sustainability to protect their exceptional quality raw materials from climate change, to respect implicit client expectations about social and labor practices, and to support community and cultural life alongside their top clients. For Jerome Schehr, CFO of the Shangri-La Hotel Paris, “luxury brands now have to be respected and respectable if they want to be desirable in the eyes of their customer.” From his perspective, companies can foster respectability by adopting a robust and coherent sustainability approach. Indeed, a new argument in favor of brands adapting strong environmental and social practices is emerging: Sustainability is a lynchpin of desirability. The Nelly Rodi/IFOP study recommends that brands improve their desirability by activating certain levers that include proximity and taking a stand. Proximity is about how a brand positions itself from one of distant authority to one that facilitates sharing and interaction. Delving into the Hoxton Hotel example, the hotels’ positioning and communications reflect a warm, interactive mood, made tangible through curated events that are open to the public, lots of lobby space for communal working, and a tone that solicits guest feedback. Taking a stand is about how a brand manifests its point of view on the world, makes commitments (whether to values, culture, the environment, ethics, or society) and shares it values. Tiffany and Company represents an envy-worthy example through its public activism on climate change, support of eliminating coral from jewelry, and work to protect special places such as Bristol Bay in Alaska. In this sense, sustainability commitments and activities are an ideal ally for a brand looking to reinforce its desirability. Increasing the “supply” of sustainability in luxury is both about the substance of the company’s actions and its public communications about its activities and values. This presents the next question luxury brands and marketers need to tackle: how to credibly communicate on sustainability activities, ethics, and values in ways that fit with brand DNA and reinforce brand equity. Brands also need to summon their courage. Most companies are working to improve their environmental and social practices, and have long roads ahead. This shouldn’t stop brand owners from using their reach and influence to speak out in authentic ways that move the agenda forward. 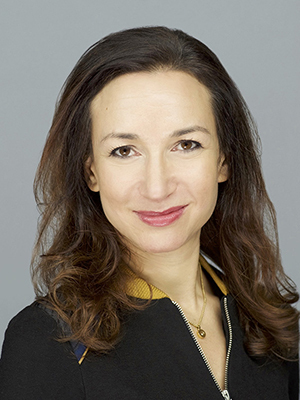 Cécile Koenig, Guerlain’s skincare director, international marketing, explained that her company has made commitments to protect biodiversity, with a focus on its iconic raw materials such as orchids, vetiver, sandalwood, and lavender. These are the kinds of commitments that not only help protect luxury supply chains, but also enhance Guerlain’s ability to connect with customers and reinforce the brand’s appeal. By following these two new rules of the game, luxury companies have the opportunity to expand the market for sustainable goods and services—something that’s desirable for customers, business, and the planet. To learn more about sustainability and desirability, contact us or read about our Responsible Luxury Initiative.